Krav Maga- or “contact combat” is a self-defense system developed for the military in Israel by Imi lichtenfeld that consists of a wide combination of techniques sourced from boxing, savate, Muay Thai, Wing Chun, Judo, Jujutsu, wrestling, and grappling, along with realistic fight training. Krav Maga is used by Israeli Defense Forces and commonly known for its focus on real world situations and extremely efficient and brutal counter attacks. Threat neutralization of simultaneous defensive and offensive aggression. Krav Maga promotes finishing a fight as quickly as possible. Krav Maga attacks are aimed at the most vulnerable parts of the body while maintaining awareness of one’s surroundings. 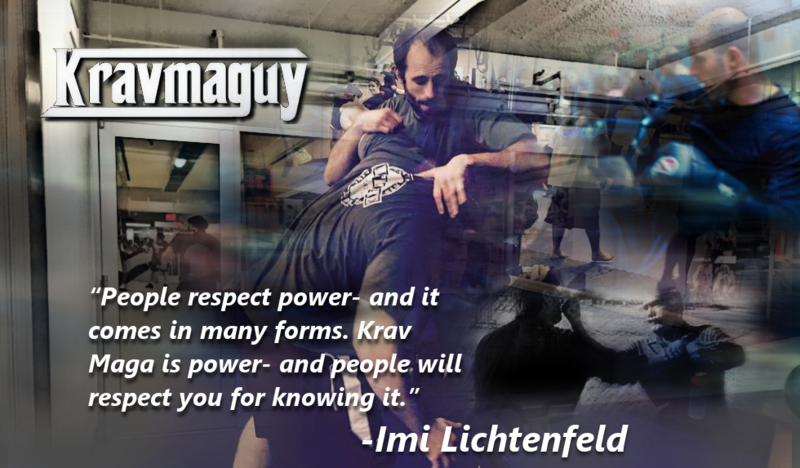 Why choose Abe Schur’s Krav Maga? Abe Schur has been training martial arts since childhood. He has trained with the highest level athletes and mixed martial arts professional and trained tactical self-defense and Krav Maga to military and civilians across the United States and in Israel. Although his training emphasizes on authentic Krav Maga techniques he also integrates a crossbreed of methodologies to meet every student’s needs, goals and capabilities. Abe Schur training approach is to work individually with each student and client meeting their training needs to maximize 100% results. What can I expect from an Introductory/Krav Maga class? Group and private classes are one hour long. For Group classes the number of participants is limited to 15- 20 students. Private classes can be up to groups of 2-4. Abe Schur training’s are tailored to meet each student’s individual needs which incorporate a combination of cardio, fitness and Krav Maga techniques. What gear should I use for training? Students should wear gym clothing, gloves and sneakers. During your first class, we will provide you with a list of gears do and don’ts. Abe Schur’s store will be coming soon. I am out of shape and/or have not trained in a while; is this class for me? Absolutely!!! Abe Schur’s class is designed to provide students with the confidence, resistances, endurance and fitness they always dream of. Do you have enrollment fees or initiation fees? Abe Schur does not charge enrollment fees or initiation fees. You can purchase several training packages or pay as you go. To learn more about Membership fees – Click here. Can I purchase sessions for someone else other than me? Absolutely just give us a call and we will arrange. What if I get injured at class? No need to worry but note that in any self-defense class that is as explosive and dynamic as Krav Maga, injuries might happen; however, Abe Schur pays the most attention to its students. At the beginning of each class, safety rules and procedures are emphasized. Before student’s enrollment, Abe Schur will discuss individually, privately and confidentially with each student to discuss any physical pressing issues or health concerns. Is Abe Schur training fit for women? Absolutely, women are often and daily victimized. With Abe Schur Krav Maga training programs women of all sizes and ages will feel confident to be able to protect and defend themselves in any situation. How long would it take me to pass Level 1? Unlike other academies, Abe Schur Krav Maga, guarantees 2-4 months to learn level 1 techniques; but you should note that while some students might wish to conquer level 1 faster, others might want to take more time before moving up. At the end of 2-4 months Abe Schur will host group and individual exams. What makes Abe Schur training special? Unlike other Krav Maga academies, Abe Schur goal is to work one on one with every client to get the best out of their training experience and to meet each student’s goals. What other training does Abe Schur offers? Abe Schur offers Krav Maga, Ju Jitsu, Mixed Marital Arts (MMA), Boxing, Wrestling, Muay Thai, fitness conditioning, Private Training and Tactical Shooting. Copyright © 2019 Krav Maga with Abe Schur.